Timothy matriculated from the National School of the Arts where he initially studied drama. 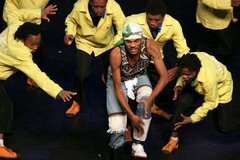 He then went on to Pretoria Technikon now Tswane University of Technology to train in dance. 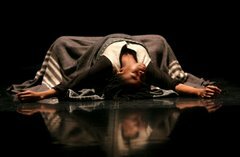 He worked in a professional capacity with companies such as Pact Contemporary, Forgotten Angle Theatre Collaborative, Free Flight Dance Co, Vusa Dance Co, Wilda Dance in Copenhagen, Bat Dor Dance in Tel Aviv and BCY . 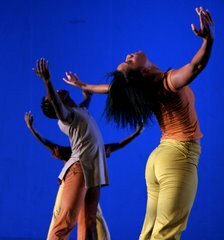 He has choreographed for various companies in South Africa such as State Theatre Ballet, Pact Contemporary and BCY. Theatre credits include Fame the musical, Chicago the musical, Little Shop of Horrors and Grease the Stadium spectacular to name a few. He was nominated for a Naledi Award for both Joseph and his Amazing Technicolour Dream coat and for Jesus Christ Super Star both for Pieter Toerien Productions. This year he will be choreographing Hair the musical also for PTP and Peter Pan for the Civic Theatre Pantomime Production directed by Janice Honeyman. Timothy has also been the recipient of the FNB Young Choreographers Grant as well as the FNB Vita Award for Best Male Dancer.